The power to order further investigation which may be available to the Magistrate at the pre­cognizance stage may not be available to the Magistrate at the post-cognizance stage, more particularly, when the accused is discharged by him. The Supreme Court has observed that a Magistrate has no jurisdiction to suo moto pass an order for further investigation/reinvestigation after he discharges the accused. Bikash Ranjan Rout was accused for the offences under Sections 420, 468 and 471 of the IPC. After completing investigation, the investigating officer filed the charge-sheet against the accused. At the time of framing of the charge and considering the charge-sheet papers, the Magistrate discharged the accused. But in the same order, the Magistrate observed and directed that the case requires further investigation to reach a logical conclusion. The High Court confirmed this order passed by Magistrate which made the accused approached the Apex court. In the appeal filed before the Apex Court, the issue was whether once the Magistrate passes an order of discharge of the accused, whether thereafter is it permissible for the Magistrate to order further investigation and direct the investigating officer to submit the report? 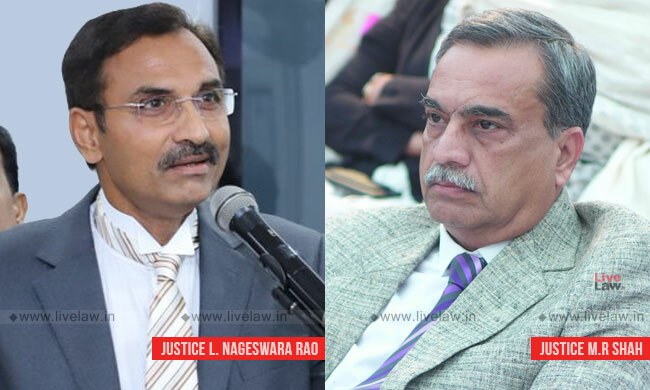 The bench comprising Justice L. Nageswara Rao and Justice MR Shah noted that when a report is forwarded by the police to the Magistrate under Section 173(2)(i) of the CrPC, the Magistrate may either (1) accept the report and take cognizance of the offence and issue process, or (2) may disagree with the report and drop the proceedings, or (3) may direct further investigation under Section 156(3) and require the police to make a further report. But all this is done at the pre--cognizance stage, the bench observed. The court said that the power to order further investigation which may be available to the Magistrate at the pre-cognizance stage may not be available to the Magistrate at the post-cognizance stage, more particularly, when the accused is discharged by him. "If the Magistrate was not satisfied with the investigation carried out by the investigating officer and the report submitted by the investigating officer under Section 173(2) (i) of the CrPC, as observed by this Court in catena of decisions and as observed hereinabove, it was always open/permissible for the Magistrate to direct the investigating agency for further investigation and may postpone even the framing of the charge and/or taking any final decision on the report at that stage. However, once the learned Magistrate, on the basis of the report and the materials placed along with the report, discharges the accused, we are afraid that thereafter the Magistrate can suo moto order the further investigation by the investigating agency. Once the order of discharge is passed, thereafter the Magistrate has no jurisdiction to suo moto direct the investigating officer for further investigation and submit the report"
"In the instant case, the investigating authority did not apply for further investigation and that the learned Magistrate suo moto passed an order for further investigation and directed the investigating officer to further investigate and submit the report, which is impermissible under the law. Such a course of action is beyond the jurisdictional competence of the Magistrate. Therefore, that part of the order passed by the learned Magistrate ordering further investigation after he discharges the accused, cannot be sustained and the same deserves to be quashed and set aside. "